Holiday.gr - Tholaria, a trip to a myth! Tholaria is a small village located close to the sea in the place that are found the remains of the ancient town Aegiali. 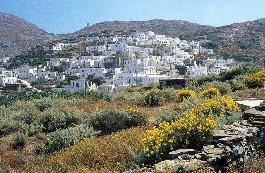 It is a traditional settlement with hospitable residents, ideal for those seeking for some privacy. From Tholaria you can easily approach Aegialis' beach. Been to Tholaria ? Share your experiences!